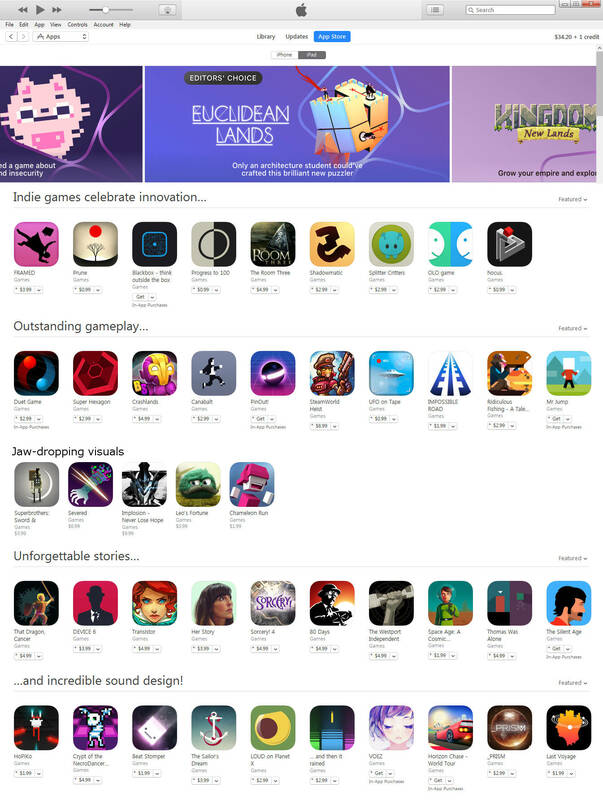 Apple is celebrating the indie spirit and what makes the App Store so great, by featuring loads of indie-developed titles with special categories for ‘innovation’, ‘outstanding gameplay’, ‘jaw-dropping visuals’, ‘incredible sound design’ and ‘unforgettable stories’. However, the indie love doesn’t stop there as it appears that Apple is also launching a new featured Indie Game each day from March 9th to the 20th. Yesterday saw the launch of the rich 3D puzzle game Euclidean Lands today Nimblebit launched their city building clicker Bit City. I’m not sure what tomorrow will bring, but I know that on Wednesday Robot Circus’ is releasing their narrative tactical RPG matching game Ticket to Earth. In addition to all of these new releases, the App Store already offers a stellar catalog of Indie gaming experiences and a number of these games are currently on sale for as little as 99¢ each.